Hi Everyone!! I've been playing with Gesso and Acrylic paint and I'm really having fun with the results. I was inspired by Mel of Mel Stampz Gesso tutorials I decided to try out this cool art medium. I've never heard of Gesso until Mel did a tutorial on her blog site. 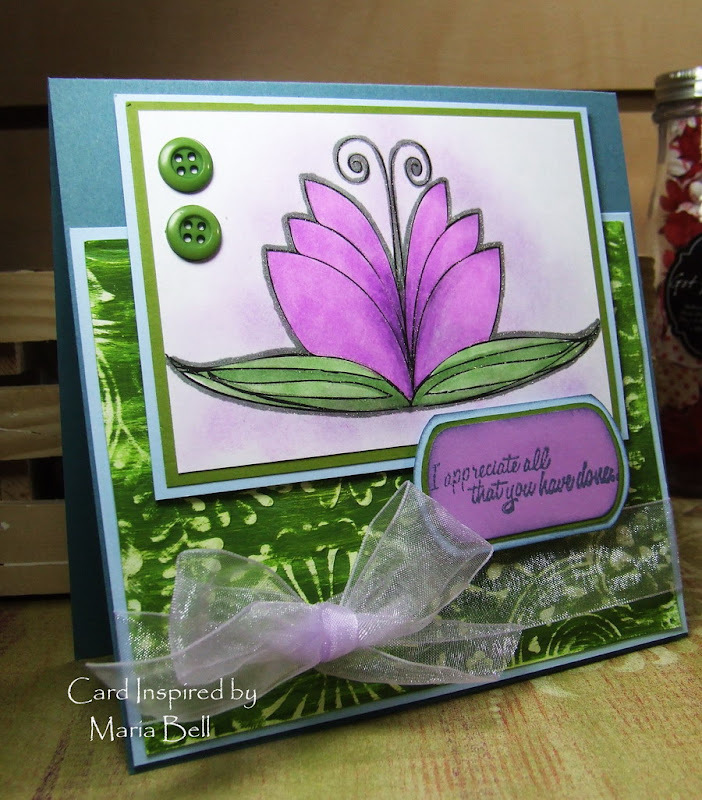 I posted another card on my Stampin Inspirations blog site if you want to check out another sample of this technique or check out Mel's blog site for more awesome samples. Okay, you're asking which part of my card is made with Gesso and Acrylic Paint? LOL! 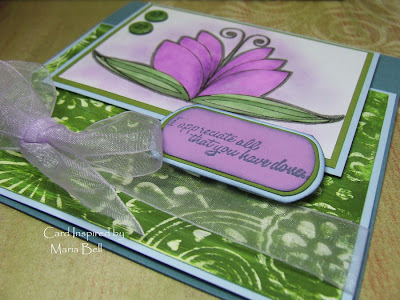 It's the green Cuttlebug embossed background. What I did was apply Gesso on to cardstock and layered it with acrylic paint. When it dried, I embossed the cardstock using a Cuttlebug embossing folder then sanded the raised parts of the embossing to reveal the Gesso underneath. As for the flower image. . .it's another of my Illustrator images that I created. Whoohoo! I colored the flower image using Copic Markers then rubbed ink to the white area around the flower using a sponge dauber. The buttons are buttons that Mel sent me. 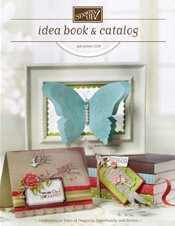 She sent me a whole bunch of goodies that I posted on Stampin Inspirations. . .go check it out!! BTW- your computer generated bird image on your other post rocks too! Beautiful, awesome job, love your technique. So beautiful sistah!!! You have so much talent & we all love to come by your blog for inspiration! Thanks for sharing your talent with us! Beautiful card! Thanks for the tutorial. That flower is gorgeous!